With the general election due in 2019 and interest rates moving upwards, the market expects uncertainty to rise, so the bulk of your money should be in shorter duration funds, experts tell Sanjay Kumar Singh. Compared with its previous day close of 7.43 per cent, the yield on the 10-year government bond shot up to 7.60 per cent by the end of the Budget day (February 1). Since then, it has come down a little to 7.56 per cent. At its current level, however, it is more than 100 basis points higher than the low of 6.40 per cent, where it stood on July 24 last year. With the benchmark bond yield hardening, investors need to recalibrate their fixed-income strategy to deal with a changed environment. Several factors were responsible for the bond yield shooting up on Budget day. According to Dwijendra Srivastava, chief investment officer-fixed income, Sundaram Mutual Fund: "The market is not convinced about the projected revenue growth through GST in the Budget. It expects the government to exceed its borrowing target." According to him, the other factor that has driven up the benchmark yield is that the market finds this Budget inflationary in nature, given all the expenditure that has been planned by the government. "With growth picking up, it is quite possible that the RBI would turn hawkish and deliver a rate hike earlier than expected. This is what the market is discounting," adds Srivastava. The spike in yield was also exacerbated by global developments. In December, the US Fed had pencilled in three rate hikes for 2018. But with wage growth accelerating, Fed watchers say there is now a 25 per cent probability of a fourth rate hike. Investors need to recalibrate their fixed-income strategy to adjust to this environment. Experts say investors' choice of funds should depend on their time horizon and risk appetite. "Suppose you have a long-term portfolio, say, for retirement, and debt is going to be part of your asset allocation there. Then 10 to 15 per cent of the money that will go into the fixed-income side of that portfolio should be put into a longer-duration fund with an average maturity of seven-eight years," says Srivastava. "Put the money in a low-duration fund, such as a liquid fund or an ultra-short-term fund and do a systematic transfer plan," he adds. As the economy matures, and with the RBI's Monetary Policy Committee now having an explicit mandate to maintain inflation within a band of 2 to 6 per cent, Srivastava expects the 10-year government bond yield to come down from its current level of 7.56 per cent over the long haul. "For the longer-maturity bond fund allocation, investors will be better off using dynamic bond funds where fund managers have the option to move the portfolio duration based on changing global and domestic news flows," says Vishal Dhawan, chief financial planner, Plan Ahead Wealth Advisors. The rest of the portfolio should be in shorter-duration funds. For a 12 to 18 month horizon, investors should put their money in an ultra-short-term fund. 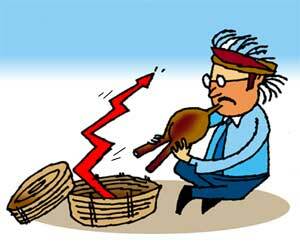 Those who have a 36-month investment horizon and wish to avail of indexation benefits on taxation might put their money in a fund with an average maturity of two to three years. With the general election due in 2019, the market expects uncertainty to rise, so the bulk of your money should be in shorter-duration funds. With interest rates moving upwards, investors in fixed deposits also need to revise their strategy. "They should currently invest in shorter-term deposits rather than trying to lock in at the current rates for the longer term," says Dhawan. Investing in debt funds, but afraid of risks?